President Muhammadu Buhari will on Monday travel to United Kingdom. 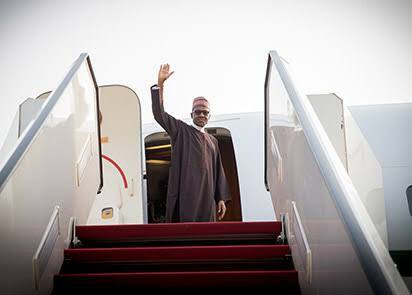 His media assistant, Garba Shehu, in a statement on Sunday described the President’s trip as an official visit. Shehu said the President would be meeting with some persons, including the British Prime Minister, Theresa May, ahead of the Commonwealth Heads of Government Meetings. Buhari’s trip is however coming more than one week ahead of the CHOGM meetings billed for between April 18 and 20. The statement partly read, “President Muhammadu Buhari will leave Abuja on Monday 9, April, 2018 for an official visit to Britain where he is due to hold discussions on the Nigerian-British relations with the Prime Minister, Mrs. Theresa May, prior to the Commonwealth Heads of Government Meetings scheduled for 18th to 20th April, 2018. “President Buhari is due to renew discussions with the Archbishop of Canterbury, The Most Rev. and Rt. Hon. Justin Welby, a good friend of the President on inter-religious harmony in Nigeria and in the world.